Jay Z’s Hollywood Reporter essay on social activism reflects his burgeoning political outspokenness. 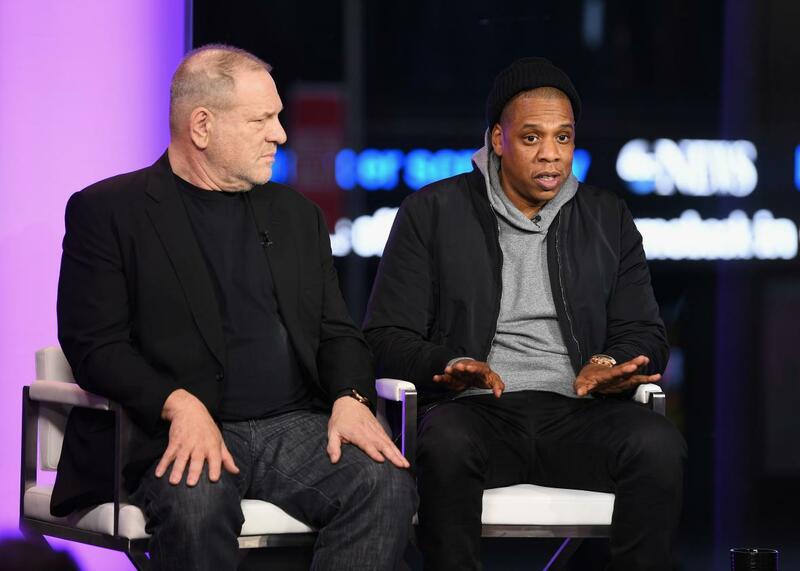 Harvey Weinstein and Jay Z speak onstage during Time and Punishment on March 8. They were bold and foolish statements to make, ones that put the rapper at odds with a burgeoning Black Lives Matter movement and the civil rights generation that preceded him. When he and Beyoncé appeared at a vigil for Trayvon Martin that same year, his presence alone wasn’t enough for some, who called him out for not taking a more outspoken position on the issues affecting the black community. A few years later, however, Jay Z is no longer staying mum, and the rapper has shown a sense of public activism that deviates strongly from his previous stances on how to use his wealth and influence to help others. His guest column for the Hollywood Reporter on Thursday, “This is Our Power,” is the latest proof of the rapper’s new political awakening. In it, he reveals his motivations for sharing the story of Kalief Browder, the wrongfully imprisoned teenager who took his own life on June 6, 2015, after spending three years at New York’s notorious Rikers Island jail, and encourages others to embark on projects that address important social justice issues. “The power of one voice is strong, but when it comes to social justice, the power of our collective voices is unstoppable,” he writes. “Now is the time to recognize that through our voices we really can effect change.” He describes Browder as a “modern-day prophet” and his death having gave way to a discussion on the American criminal justice system’s destructive treatment of impoverished black juveniles. Kalief grew up in the Bronx and started out like so many kids I grew up with in Brooklyn, kids who have to choose the right fork in the road every day. He wasn’t an angel, but he was a good kid on the right path who held up under the social pressures common in the Bronx. This young man at 16 was arrested — for something any suburban kid could have gotten away with — and held at Rikers Island for three years, mostly in inhumane solitary confinement. The recent Songwriters Hall of Fame inductee wrote that Browder’s story was just “one example of a system that is broken.” His experience in Rikers and his subsequent suicide motivated Jay Z to collaborate with studio executive Harvey Weinstein for the Spike TV documentary Time: The Kalief Browder Story. Just a few years ago, public condemnations of police brutality and overall systemic racism in the country from him were few and far between, with Jay’s frustrations and reflections over his tough childhood limited mostly to his music, including “Politics as Usual” from his debut studio album Reasonable Doubt. (“My life is based on sacrifices, jewels like Isis.”) Even as his counterparts like Atlanta rapper Killer Mike—who has been very vocal about America’s racist war on drugs and his own political beliefs—used their celebrity for fundraising, meetings with politicians, and self-penned articles, the rapper usually left politics to the side as he expanded his business and rose to the top of the corporate ladder. The rapper and civil rights icon have reportedly since made amends—and it’s hard not to feel as though Jay Z has ultimately taken Belafonte’s criticisms to heart.